Fortnite has enjoyed a wide array of modes since it’s been released, mostly offering some slightly less stressful takes on the game’s battle royale formula. But some files introduced in the game’s latest update suggest that we may see competitive play added in the near future. Patch 4.2 has added a ‘Comp’ folder to the Playlists section of the game’s file structure, as Fortnite Intel report. That’s the same spot where all the previous limited time modes were also stored. Inside the new folder, there’s a file labeled ‘Playlist_Comp_Solo’. Anything beyond the existence of that file is a matter of pure speculation, though it certainly seems to suggest Epic are at least experimenting with a competitive game mode. There’s a notable absence of anything mentioning duo or squad play, though those could certainly be added before a competitive mode becomes a reality. 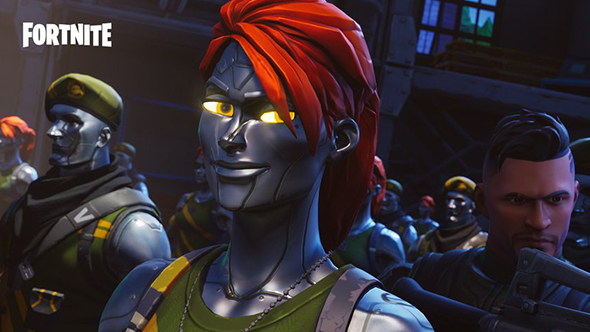 There also seems to be a new Shotgun folder, hinting at a mode featuring focused on those weapons, as well as solo and duo options for future Solid Gold modes.